Discover how orthodontist Dr. Samuel Papandreas can help you achieve the great smile you’ve always dreamed of, and get rid of those crooked teeth! A great smile will brighten your life. Studies show that your smile is what people look for first when meeting you – why not make yours healthy and beautiful? Crooked teeth send a negative message! You and your child deserve to make a great first impression that lasts. Choosing the right orthodontist is an important decision. We’ve designed our website to make that decision easier. Spend a few minutes in our online office and learn what our patients are saying about our practice philosophy, state-of-the-art services and experienced staff. Dr. Papandreas is a Top 1% Invisalign Provider. This means he is in the top 1% of Invisalign providers in North American for expertise and experience. He also offers Invisalign Teen. These clear aligners can treat many orthodontic cases without any metal, wires, or elastic ties. Get the smile you deserve without anyone knowing you are undergoing orthodontic treatment. Invisalign is virtually invisible, which makes it great for anyone who doesn’t want to be seen wearing braces. Because the aligners are removable, you can eat and drink whatever you want during treatment. Removing the aligners makes it much easier to brush and floss, too. Contact our office to find out if this treatment method is right for you. 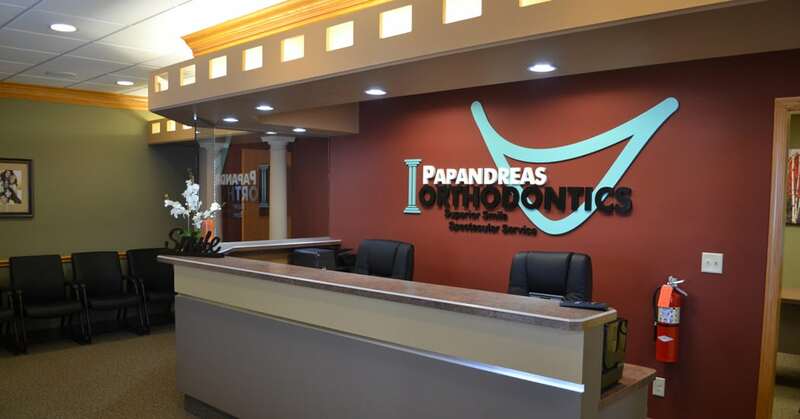 Papandreas Orthodontics offers braces and Invisalign for children, teens and adults in the North Royalton and Brunswick, OH area including: Strongsville, Broadview Heights, Parma Heights, Brunswick, Brecksville, Parma, Middleburg Heights, Independence, Seven Hills, and Hinckley, Ohio. For your free orthodontic consultation, call us today or fill out our online request form. We will diagnose your case, explain your treatment options, and answer any questions you might have. Let us help you decide the best fit for you or your child.